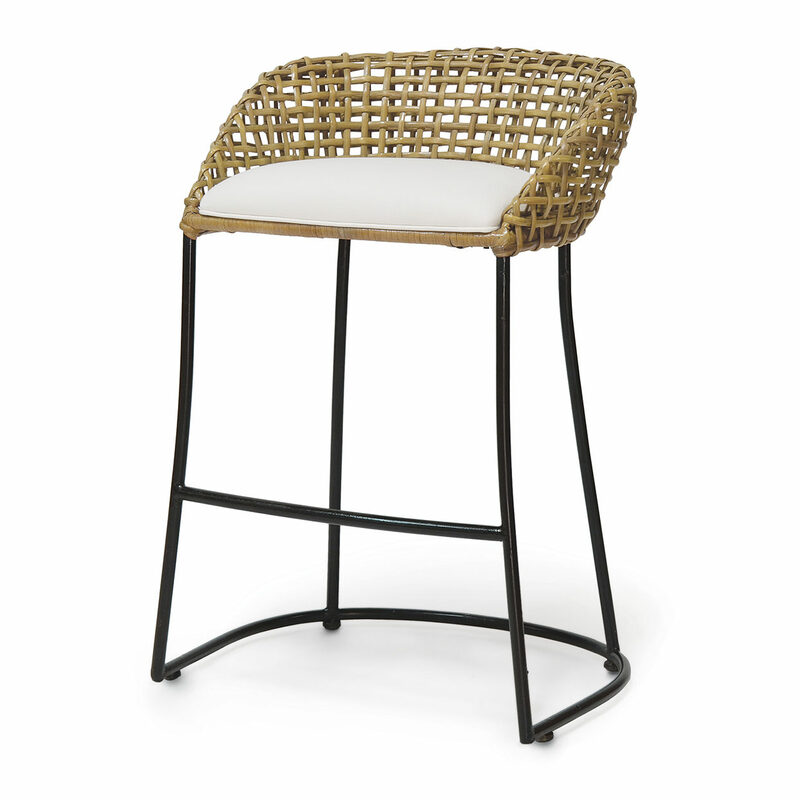 This Palecek barstool has iron frame and legs in black finish and features double wall back with natural open rattan weave. Come with fixed upholstered seat in a faux leather fabric in color sandstone. Back of stool is 29.75″ high, seat is 24″ high.